This guide was created as a supplement to a display in the Government Documents Dept. (2nd Floor South) during the Fall of 2014. 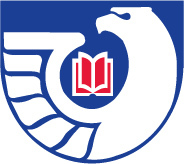 It reflects the government documents materials that are available to the University of South Alabama community. Resources in this guide are limited to materials published by a federal agency or at the behast of a federal agency. --Database of over 237,000 economic time series from 68 sources. You can download data in Microsoft Excel and text formats and view charts of data series. --Calculates the net employment change needed to achieve a target unemployment rate after a specified number of months. The user can adjust the target unemployment rate, the number of months, and the assumed labor force growth. --Searches for reports issues by GAO regarding allegations of illegal and improper activities and on how well government programs and policies are meeting their objectives. Search by keyword, topic or agency to find full-text documents. --LibGuide from the Naval Post Graduate School Library. This LibGuide gives several access points to find Congressional Research Service (CRS) reports which are created for Congress by the Library of Congress. --A web-based research tool that provides fast and easy access to data from licensed and public domain datasets. You can browse by key economic indicators, by subject categories (e.g., “Banking, Finance and Insurance”) or by source (e.g., “Federal Reserve Board”). ***Access limited to U. of South Alabama community only. --Database for congressional publications. Published hearings, committee prints, house & senate documents, reports and miscellaneous congressional publications; abstracts and indexing from 1970-present. Also you can select either “Executive Branch Documents, 1789-1932” or “Serial Set, 1789-1969” for access to full-text historical information published by the U.S. Government. --Public and classroom educational materials regarding the Federal Reserve System. --The central catalog of publications within the Federal Reserve System.